The Camp Java Mill from GSI Outdoors is a sturdy and compact coffee bean grinder with a ceramic conical burr grinder for smooth hand-grinding and a grippy silicone handle that folds into a nesting position for easy packing. 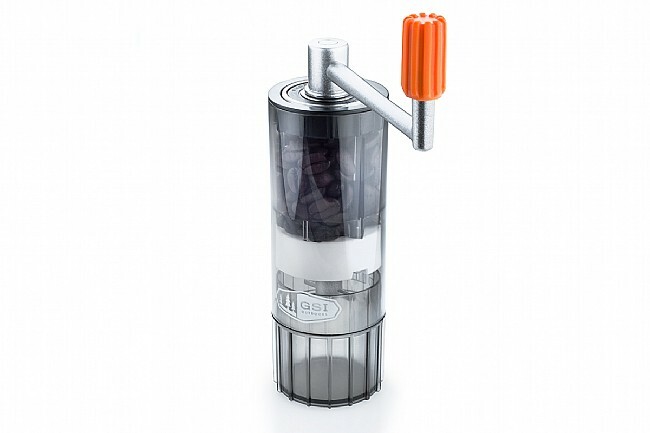 Includes: Ceramic Coffee Grinder, Grinding Arm, Silicone Grip, Grounds Cup, Bearing Assembly. Weight: 9.3 oz (263.6 g). Dimensions: 2.5 x 2 x 6.3 in (6.3 x 5 x 16 cm).